Good morning friends! Happy Friday! I just want to say thanks for your kind remarks about my video, it was lots of fun discovering my new little tool and I knew you all would appreciate my frugal approach to flower making. I have more flowers to share in the near future and now I’ll smile every time I share them. It’s been a busy week and I’ve been doing a bit of behind the scenes work to revamp and update some of the things I work with on a daily basis. Because I’m always learning and researching, progress is slow but I’ll get there. I have tons of cards stashed away and last year I decided to share them with readers rather than let them sit and age. It’s a great review of some of the tools we might not have used in a little bit. It happens every Friday, where I give away a card to a randomly picked reader who leaves a comment in our conversation about a thought provoking prompt I dream up to discuss – here’s a link to my FAQ’s just check out #11. For your comment today – This word won’t mean anything to the youngsters, but did you ever have a pen pal and what was your best memory of that sweet exchange? Have a great weekend friends! I’m tickled because this weekend I have a date at the craft table. I hope you have some wonderful things going on!! My address is 105 Amanda Dr., Vicksburg, MS 39180. I live in Ohio and would love to know about the Stampway. Can you please send me some information. I never heard one. It’s weird to say but we didn’t have the extra money for stamps back then. What a beautiful card today, and I have the dies hooray!!! I had a pen pal called Joan Goldfeder who lived in Queens, New York and she had such a glamorous life. It was in the early 1950’s when everything here was grey and we still had rationing after the war. She would tell me all about her life and I thought she was so exotic!! When I was 14 I had to go into a Sanatorium and the exchange just petered out, but I’ve never forgotten her, and here we are 60 years later and I still have some of her letters. I had two pen pals when I was younger. One was in Japan and one was in Columbia. I love the exchange of news around where they lived and since we were about the same age to find out how much we shared in likes and dislikes. My gosh I had not thought of them till your brought up this subject, now I want to look at some of the letters we exchanged. Thanks Becca it’s nice to look back on fond memories. So glad you feel better, soon be Spring which will lift everyones feelings and make them smile! Love the backing papers on this card so pretty. Nice to see you using spoons on your Video what a clever idea! I DID have a pen pal from Nebraska (North Platte) to be exact and I even remember her name (Karen Farrell). I think we wrote back and forth for 4-5 years. Wish I could find her again bur that was during our teen years, they were so good!!!!! Lovely card Becca and your flowers are perfect. Nobody combines dies like you to make stunning layers that always showcase the sentiment stamps perfectly. Someday, you will have to clue us in on your selection process for determining layers coming from so many die sets. They always match up so perfectly even though they are from such a variety of die sets. I have over 550 spellbinder die sets but can’t ever achieve the beautiful layers that you always manage to come up with. I would love to know your selection process. Do you have each layer from every die set already cut so you can just go through and see what layer from this set would size up with and look good layered with another layer from another set?? Just wondering how you choose from so many die sets. Gorgeous card Becca, with another beautiful bow! Another beautiful card Becca, gorgeous dies, sentiment and backing paper. Yes i did have a Pen Pal just after i left School i found her through a Craft Magazine we swapped ideas and card and papers for about 15 years, then she got Married and the letters stopped coming , so sad really . Such a beautiful card, Becca, I love all the Spellbinders layers. What a beautiful card, Becca. I love the inspiration of using these beautiful dies again and again. My pen pal was my best friend until he past away. I miss all the good time we talked about. Love your card as always. Lovely old fashioned card!!! I never had a pen pal when I was young…..however, I reconnected with my best friend from high school after 50 years and we are now PHONE PALS…every week! What a delight. I sent her cards over the last few years and she told me she has a box full and treasures each one. Of course, this encourages me to send even more cards – LOL! Sooo glad to hear, you´re feeling better again Becca. And what a wonderful card here again too. 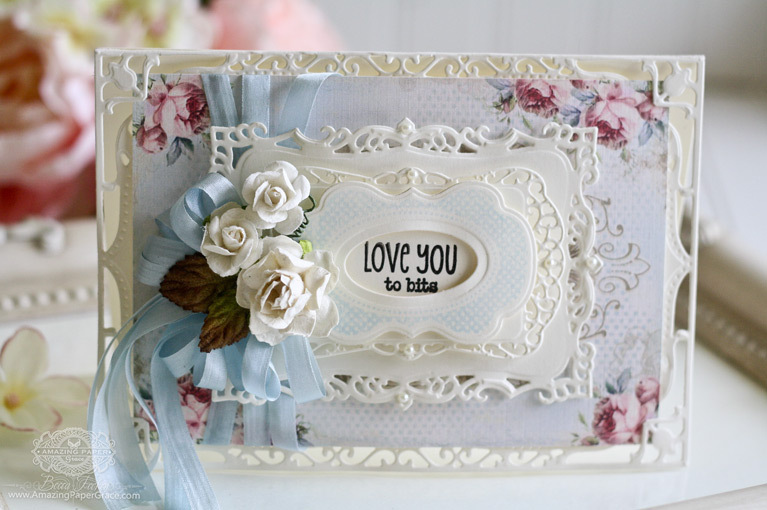 I love the dies you´ve used on this one and the beautiful pastel colors looks sooo beautiful. I love everything about this card but particularly the rose-patterned paper you used for the background. So elegant! I only leave comments on your blog on a regular basis, so this is the closest I’ve ever come to having a pen pal. I have a huge family and have always been challenged with keeping up with family and friends. I’m so glad you are feeling better so that you can enjoy your playtime! Hi Becca I have missed a couple of you blogs recently but think I have now caught up. Just watched you video and have to say what a great idea I will be having a go at this. Gorgeous card! Love the layering! I had 2 pen pals for a Short time. I remember that the girl named Candy looked just like me almost like she was my twin. She was the same age as me, 12. But then I lost contact with her when I ended up in Foster Care for 18 months. Then after her, I had a 16 year old male from the Philippines whose parents were Missionaries. We wrote to each other a few times then also lost contact. His name I still remember to this day and pray for him. His name is Amram Dulag. I remember that he had the neatest writing that I had never before or since have seen. Good morning Becca, what a beautiful card!!! Never had a pen pal but I used to write to my best friend every Friday when I should have been working : ) I’m so glad we did!!! I’ve still got them!!! Both my daughter’s had pen pals!!! Morning Becca, your card today is just lovely and yes I did have a pen pal who lived in America . We wrote for a while but then we didn’t have the money for stamps so had to stop writing. Now I send cards to anyone that asks for one, no matter where they are. I had a pen friend from then US. I am in Australia. I remember her name was Cassie. I think she was from Massachusetts, I remember the state Ma on her address. I remember one time she sent me some magnets made of modeling clay. I remember sending her a cassette with all my favourite songs at the time recorded on there. I used to get so excited when I used to get her mail. So sad how nobody writes like that anymore. Facebook & emails are great, but no where near as exciting! So glad you are feeling better, Becca! I loved your ‘Spoon Flower’ video. You are a genius! I had a penpal for many years after meeting one summer holiday. Some years later we were holidaying in the vicinity of her home and my father suddenly saw a signpost to the village where she lived. We made a detour and arrived unannounced (not many telephones in those days) for an impromptu reunion. So sweet! Thank you again for your days of giving. What a generous spirit you have and someone is going to be delighted to own a ‘Becca Creation’! Hi Becca. 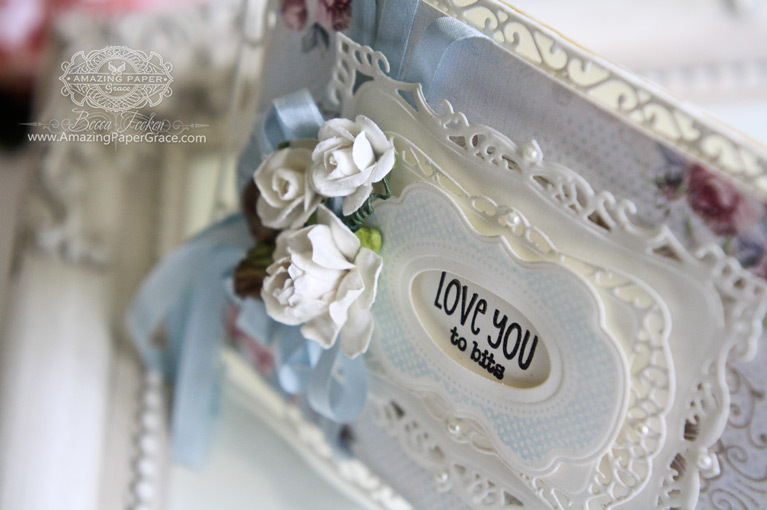 Love your beautiful card today with the gorgeous dies and flowers. I had a few pen pals and remember eagerly awaiting for the postman to bring their letters. I did meet one of them a few times and we spent some good times together. I never had a pen pal, a I child. As an adult, I wrote lots of letters from overseas, since I was an AF wife. Just love the idea and the card Becca. I appreciate you passing on your beautiful cards to those of us who love what you do. What a sweet card Becca – it is beautiful. 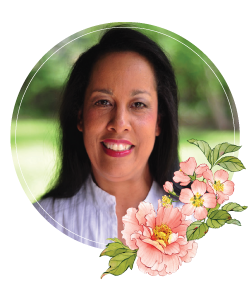 Yes I had a pen pal – it was the nephew of my father’s pen pal, and we wrote to each other for many years – unfortunately I lost contact about the time I married, but he did sent us a wonderful post card of congratulations. Glad you’re feeling better! Love THIS card to bits!! I’ve personally have never had a pen pal. But I am the Media Specialist at an Elementary school and I’ve connect with another school 3 states away and our 5th grade classes are pen pals; my students are thrilled to type a letter to them!!!! Morning Becca, this is a gorgeous card and keep the videos coming they are fantastic. When I was about 14 the school got us all pen pals and we kept in touch for years mine was in America and I remember she sent a parcel one Christmas with a rain mate and instructions how to use it which we found very funny as we are in Scotland she must have thought we were lived in the dark ages we are talking about 1959 but with all the rain we get ( which then wasn’t as much as now) we sure knew how to use them, she also sent me a friendship ring which I treasured for years thanks for remembering me about a lovely memory. Love you to bits, too! nice but when we moved to Australia I lost contact . It is nice to use dies from the past as we do tend to forget them ! Hi Becca, This card is stunning, I love how all the die-cuts work perfectly together and the backing paper is so pretty, and I also love how the corners of the die-cut ‘hold’ it in place. I had a penpal when I was at school, it was really great to correspond with someone from a different culture and in a different part of this beautiful World. What a beautiful elegant card. I love those frames. Just wish I had all your lovely cards to take from a stash. A lovely card made with some of my favorite dies! I love it when older dies we have in our stash are used. It gives me inspiration to create my own version. A little late to compliment you on your card. and I am very impressed with how you have grown. Your card is deliciously beautiful! Is that a WMS used in that delicate blue? I was so lucky to have a penpal! Anne and I were introduced by her aunt, who happened to live behind me, when we were 13. I live in Canada and she lived in Trinidad and Tobago. I loved writing to her and, especially, when she’d respond back – her penmanship was so beautiful. For my 21st birthday I was able to visit her and meet up for the first time. I have never found kinder, more generous people than in the Caribbean. We still correspond, albeit at Christmas mostly, but I cherish our friendship still.